Born on January 17, 1984, Adam Richard Wiles is a Scottish singer-songwriter, DJ and record producer better known by his stage name Calvin Harris. He first became attracted to music during his teens and soon decided to pursue career in it. 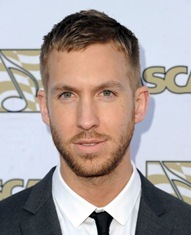 After releasing a couple of singles, Calvin Harris garnered huge commercial success with the release of his debut album “I Created Disco” in 2007 which became gold-certified. He followed his initial success with the second studio album, Ready for the Weekend during 2009 which also included several music charts toping singles. Since then, Calvin has released two more albums titled 18 Months and Motion, both of which have also earned critical as well as commercial success. In addition to his work as a solo artist, Harris has also written and produced tracks of various other artists too including Cheryl Cole, Rihanna, Kylie Minogue and Rita Ora. For his outstanding work, Calvin has received several awards so far and also holds the record of most top ten hits from one album on the UK Singles Chart. When it comes to his personal life, Calvin Harris has been linked with a few female celebrities in the past but is currently in a relationship with singer Taylor Swift. He worked in supermarkets and at a fish factory when he was 17, in order to earn money for moving to London. Before finding his passion in music, Calvin actually had thoughts about pursuing career as a football player. Calvin Harris current holds the record for most top 10 hits from one studio album on the UK Singles Chart with his nine hits.